Amuneke has been hired by Sudanese top division club Al Khartoum Watani as their new head coach for the forthcoming season. Former Super Eagles star, Emmanuel Amuneke now has a new coaching job several months after he ended his stint as the Nigeria U-20 Flying Eagles coach. Amuneke, who was unveiled Tuesday evening, signed a two-year deal at the club. The former Super Eagles winger and Nigeria U-17s and U-20 coach, replaces Kwesi Appiah who took over the reins as Ghana’s head coach for the third time earlier in the year. 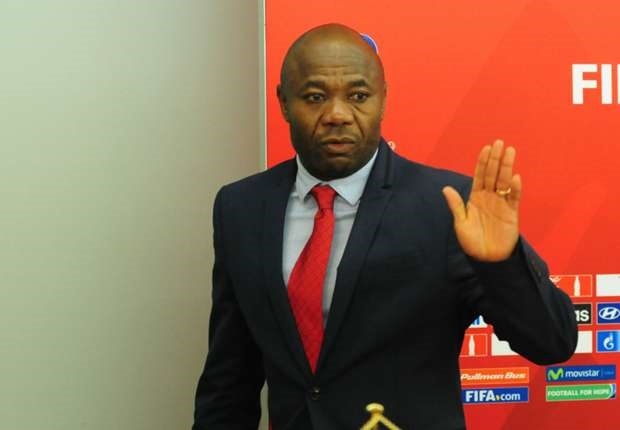 “Yes I have been appointed,” Complete Sports quoted Amuneke as saying. “It’s a challenge for me and I believe my wealth of experience as a player and a coach will help the team. Al Khartoum Watani finished in fifth place last season but are presently sixth on the log with five matches to go. Among other successes as a coach, Amuneke led Nigeria’s Golden Eaglets to a fifth title at the 2015 FIFA U-17 World Cup title in Chile. ALSO WATCH: Bounce Sports Ep. 1 - Who Deserved The FIFA Best Men's Player Awards?